Last updated: Sept 13, 2011 (over 50 songs in shapes are listed here). 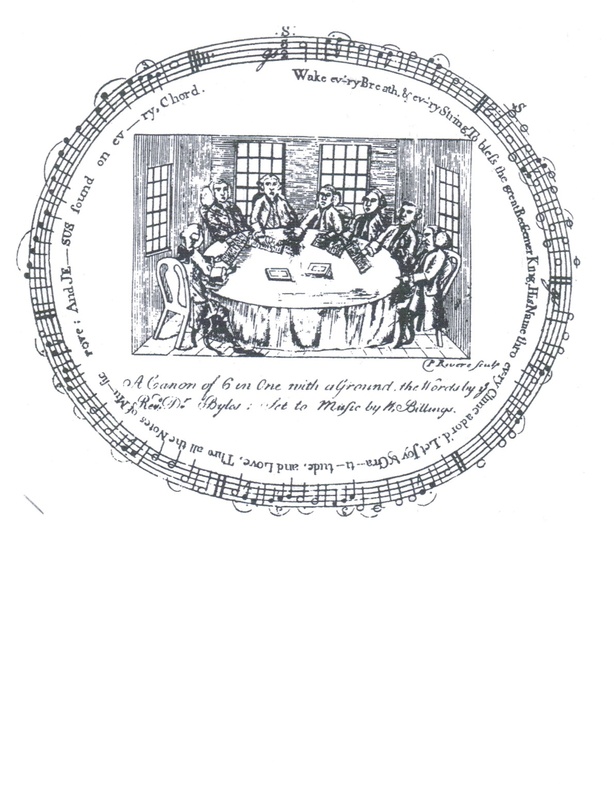 Original Billings frontispiece for Continental Harmony 1800. 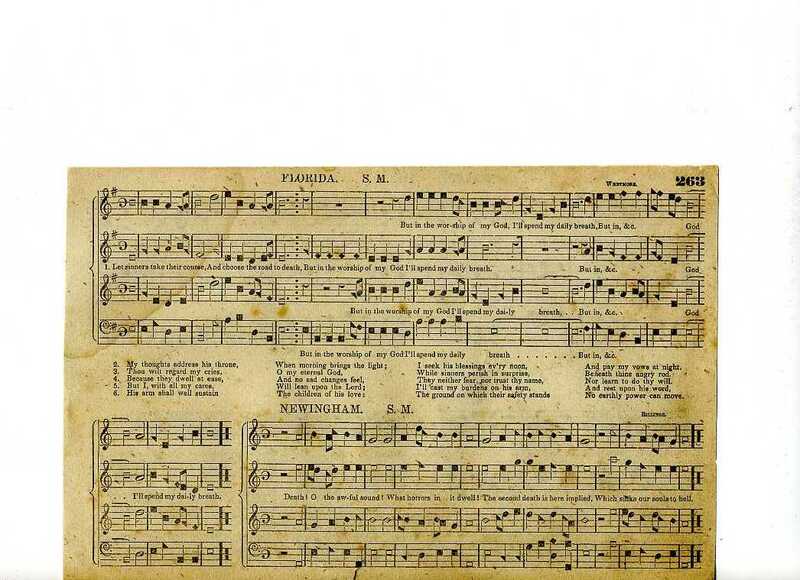 (The New England Psalm Singer, 1770). In God, the life of all my joys Aloud will I rejoice. William Billings The Psalm-Singer’s Amusement (1781). Lyrics: Isaac Watts Hymns and Sacred Songs (1707-9), No. 20.
the glorious sun who has begun his daily task anew. Clear two-page version for those who yearn to see the syllables neatly matched with the notes. (words: Charles Wesley, Moral and Sacred Poems, 1744). Words: Isaac Watts (Hymns and Spiritual Songs, 1707-9), Part 1, no. 88. One perfect round complete in sound, celestial and divine. Original page from Yale (Beinecke rare book collection). How long, O Lord, shall I complain, Like one that seeks his God in vain? With a slightly different version in Norumbega Harmony page 38.
leap into life for Jesus comes. And blest with thy salvation raise to heav'n their cheerful voice. Augment our swells, our tones refine, Performance ours, the glory Thine. Jargon Let horrid Jargon split the Air and rive my nerves asunder. Let hateful discord greet my ear as terrible as Thunder. "let a hog who is extream hungry squeal the counter"
Performance on YouTube with original words described as "Solfege fun at the Longy School of Music!" 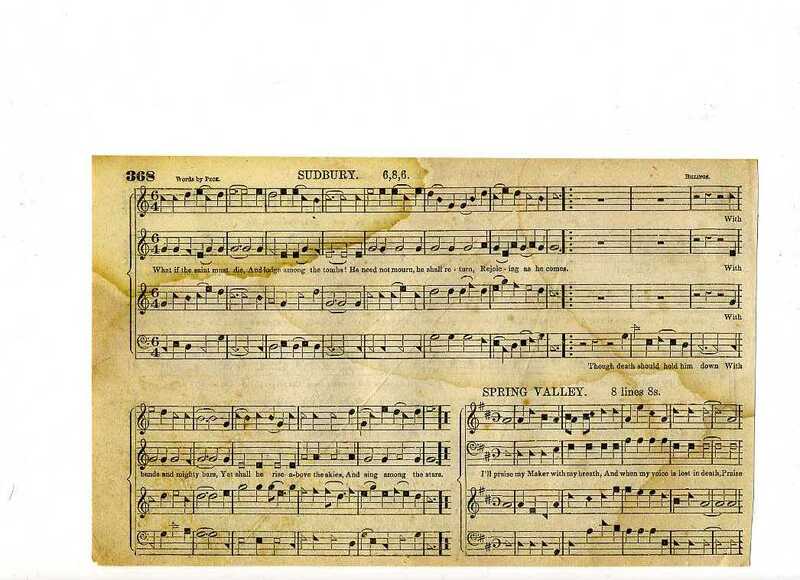 Jordan In The Sacred Harp page 66. YouTube of 3 generations leading this song in Pickney, Missouri. Nice full congregational sound. YouTube Except for the bass solo, it sounds to me like an all-female choir, where the trebles and tenors drown out the altos, and the bass(es) seem mostly absent. Laura Conrad has a MIDI file of this piece. Dan Harper (Palo Alto) offers this version of a Billings round as more suitable to be passed around in a Shape Note group. Dan Harper's website has disccusion and PDF file. Different version Norumbega Harmony page 8. 2-page PDF file (much easier to read). Only Jesus I pursue Who bought me with his blood. Sleep! downy sleep! come close my eyes, Tired with beholding vanities! The second death is here implied, which sinks our souls to hell. His sacred name for ever bless. My name is God, I dwell on high, Dwell in my own eternity. Rocky-Nook Isaac Watts (1707) hymn 1:41. How came they to the happy seats of everlasting day? some learning resources for Rose of Sharon. My God, what inward grief I feel When impious men transgress thy will! I mourn to hear their lips profane Take thy tremendous Name in vain. His age contracts within a span, He blooms and dies like grass. Words by Dr. Biles, with reference to Psalm Ps 90:5. From whence does this union arise, That hatred is conquered by love? It fastens our souls with such ties, That distance and time can't remove. Through all the notes of music move, And 'Jesus' sound on every chord. 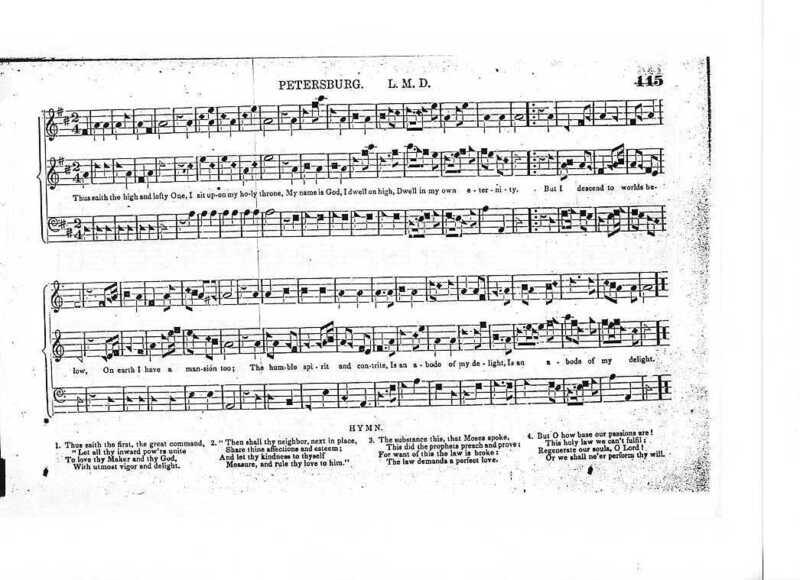 Original copperplate engraving of this song, with artwork by Paul Revere. Walnut The first stanza (8.7 8.7) is the same as "Jargon" (1781), but then a second stanza (common meter) is added. Let dissonance erect her throne and reign within my Heart. a discussion of this song with MP3 File. I cannot live if Thou remove, For Thou art all in all. Come sing compositions by William Billings with us on Thursday evenings! Another Billings fan in Los Angeles. A Billings project in Minnesota.